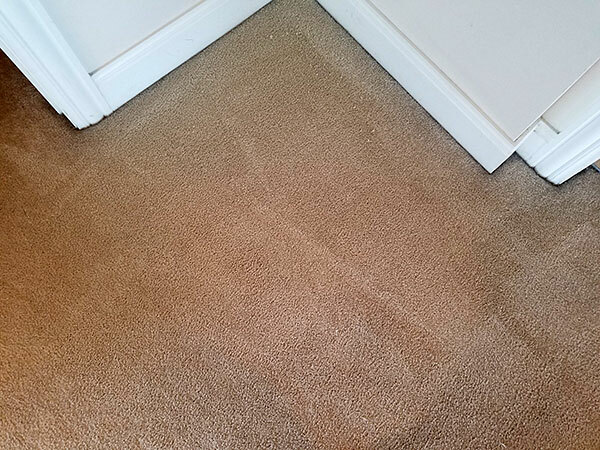 These might not look like the typical pet urine stains in carpet. When you think of pet urine in carpet you probably picture a yellow spot with that awful ammonia smell. Well the picture on the above left is of a pet urine stain after it had been cleaned by a Tampa FL home owner. She was able to clean it right away while the urine was still wet. If you can clean pet urine accidents right away you can remove about 90% of the urine and not have much of a problem, unless your pet keeps wetting the same spot. So if this homeowner got to this urine spot right away why does it look so dark and unclean. The problem lies with what she used to clean it. She used a very popular carpet spot cleaner designed to remove pet urine. This particular spot cleaner uses a lot of soaps to remove carpet spots. Those soaps aren't easy to remove and stay in the carpet as a sticky residue. After a few days the area that was cleaned starts to pick up soil from people walking across it and it begins to look like the picture on the left. So how do you remove pet urine from carpet? The best way is to clean it with a lot of water. Yes, you heard me right water, just water. If you find pet urine in your carpet that is still wet towel dry it. Then, pour a large amount of water on the spot and dry it again. You want to use twice as much water as there is urine in the carpet. The more water you use the less concentrated the urine is and the less likely it is to stain. The other benefit to using water is that it wont leave any dirt attracting residue behind. 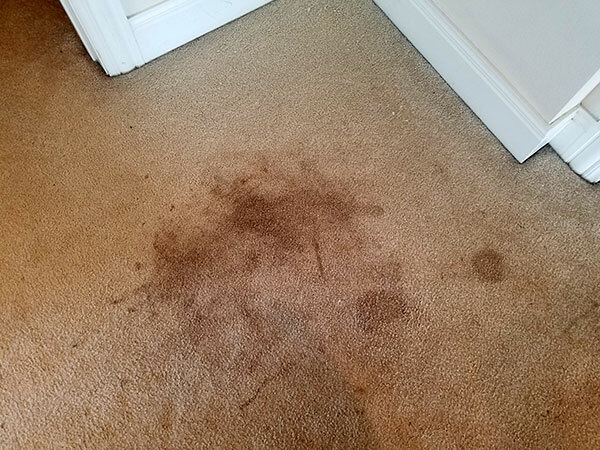 If you find dry urine spots the best thing you can do is call a professional carpet cleaner. For pet urine removal in Tampa FL call Chem-Dry of Tampa.